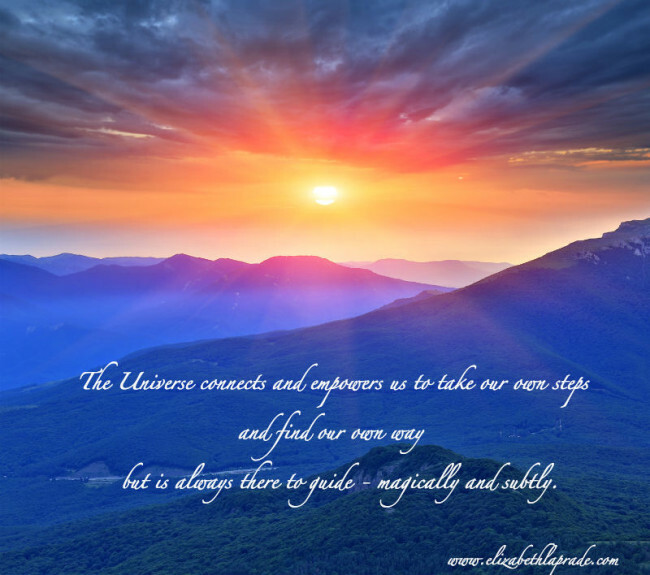 The Universe connects and empowers us to take our own steps and find our own way but is always there to guide – magically and subtly. We all have access to this brilliant wisdom of course, but I, like I’m sure a lot of you, often forget that that connection is there. It came forth whispering and spreading love. Most importantly it filled me with a remembrance of safety and empowerment. Interestingly enough, things that my Mom’s presence always gave me. I have a feeling that my deep longing to see her face, touch her hand and hold her tight will never ever fade, but I know that something Bigger and Wiser has my back, no matter what.